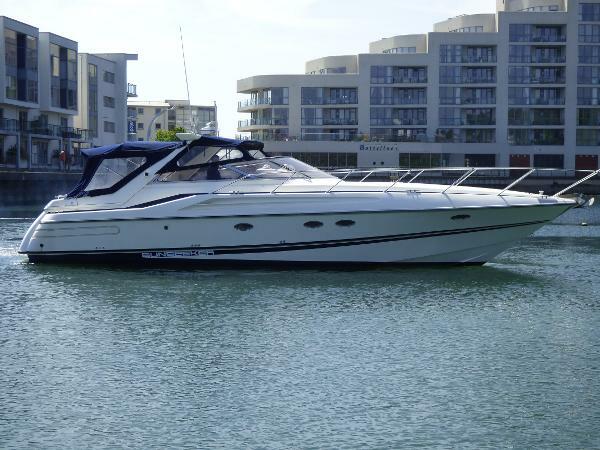 A classic Sunseeker model with twin Caterpillar 3208 10.5 litre V8 diesels rare for a boat of this size on shafts giving in excess of 30 knots performance. 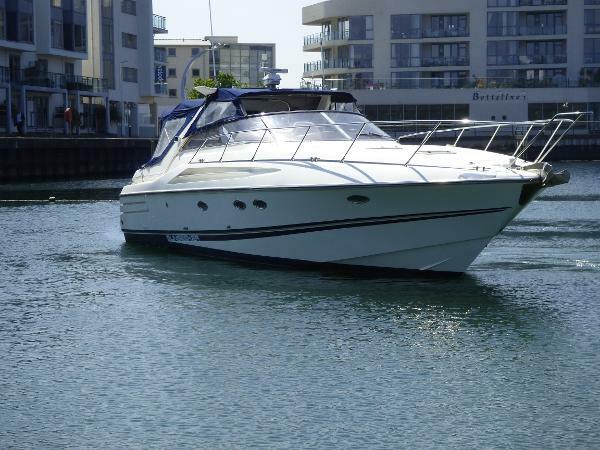 With Bow thruster, autopilot connected to chart plotter, radar, very social cockpit area, icemaker, generator, electric cooker, microwave, oven, diesel heating, air conditioning, and very comfortable double beds in the master bedroom and guest bedroom both with en suite – shower and heads. 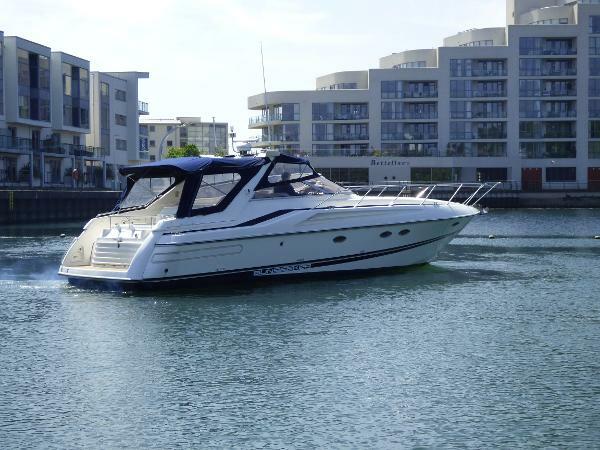 In addition, convertible 2 berth bed if required in the downstairs sitting area.